We’ve already noted Lorraine’s obsession with pears, and here is another recipe containing them. In fact, the description of this recipe contains a rather saucy passage about pear juice dribbling down Lorraine’s chin. That’s quite enough of that Lorraine, this isn’t Marks & Spencer. In fact, I think Lorraine has been blinded by her “food crush” on pears in this instance. Apples would probably have been better. Or maybe more pears so that you actually get some flavour from them. Apart from this disappointment, the dish is great. 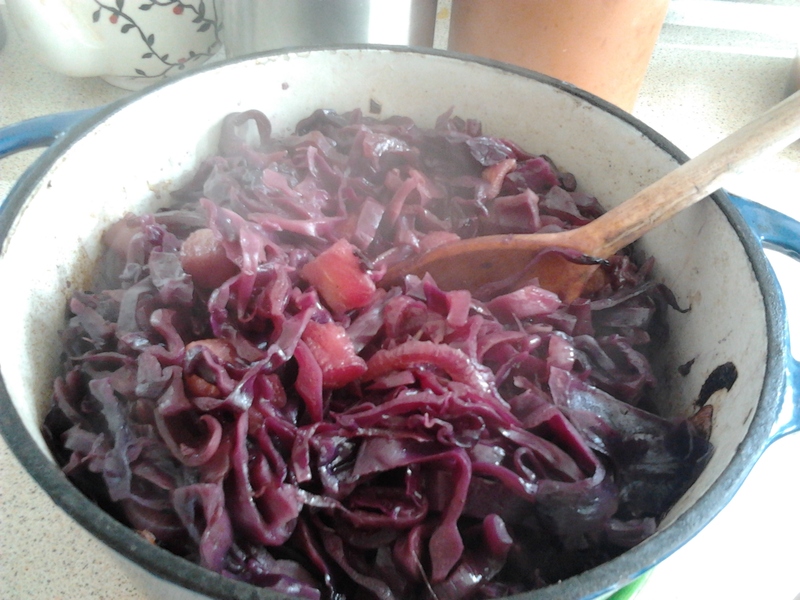 It just requires chopping the red cabbage, onion, garlic and pears and stewing it all in the oven with vinegar, sugar and spices. The lid of my casserole dish isn’t that tight-fitting and I didn’t want it to dry out so I first covered the dish with foil and then put the lid on top to make a tight fit. There is a lot of it, but it reduces in size considerably in the oven. The cabbage still has a bit of bite, which is pleasant, and it’s nicely sweet. This is a great stress-free vegetable dish, because the timing doesn’t have to be precise. 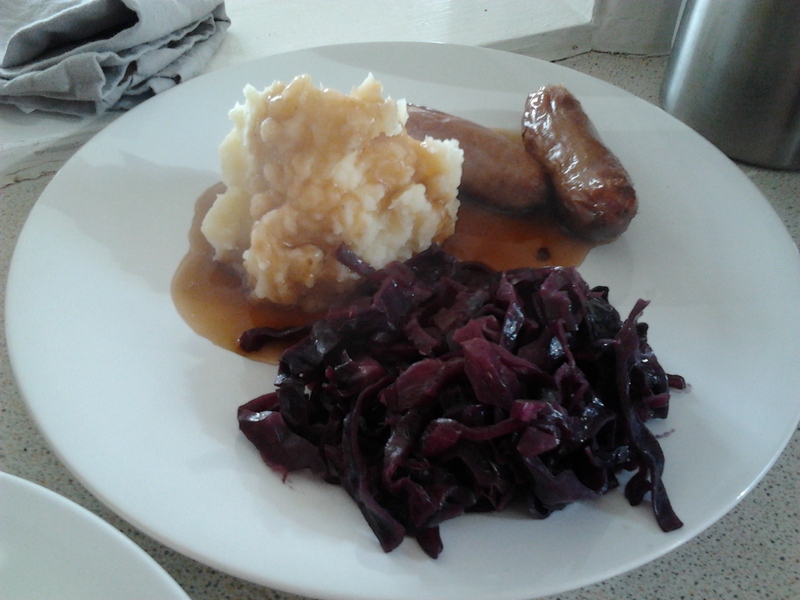 I served it with sausage and mash, but it would make a good accompaniment to roast pork, or shepherd’s pie.